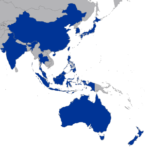 Who are the Reloc8 Asia Pacific Group Partners? Reloc8 Asia Pacific Group has selected the leading destination service providers in each country, to provide a coordinated relocation service solution throughout the region, accessible through any of the partners. Each partner has developed a strong brand in their own country, working with Fortune 500 clients and other leading multinationals. We know what is needed. We have to. The involvement of the owner brings a level of personal commitment to the success of your transferee. Not all relocations are trouble-free, and it's in solving problems that this level of dedication becomes most valuable. The specialist focus on destination services achieves more in less time. Better trained and more experienced, our staff get results - isn't this important when your transferee needs maximum focus on the new job? The Reloc8 Asia Pacific Group partners are located in 12 strategic locations in the region and each are expert in the Relocation and Visa & Immigration practices in their country.